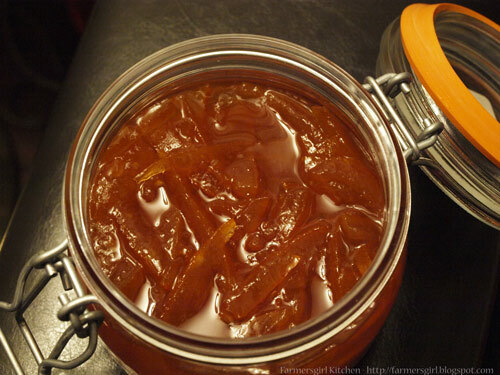 I really only like homemade marmalade and have been making marmalade since I was in my early 20s. My mum always made her own marmalade and used to put the peel through the mincer, I would help by turning the handle. When I spoke to her at the weekend she was planning to make some marmalade and bemoaning the fact that she no longer has that mincer! This prestigious preserves contest, held at Dalemain in Cumbria, attracts thousands of entries from all over the world. Everyone who sends in a jar gets their marmalade tasted by a panel of expert judges and then gets sent a personalised mark card with feedback on how the marmalade can be improved - or if they are lucky a gold, silver or bronze award. Judges for 2013 include Pam Corbin and the WI. 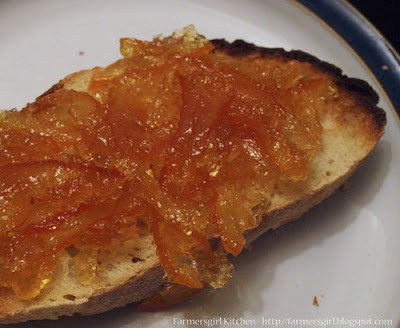 My friends Karen at Lavender and Lovage and Sue at A little bit of Heaven on a Plate are also entering the awards and you can read more about their marmalade making adventures on their blogs. 1. 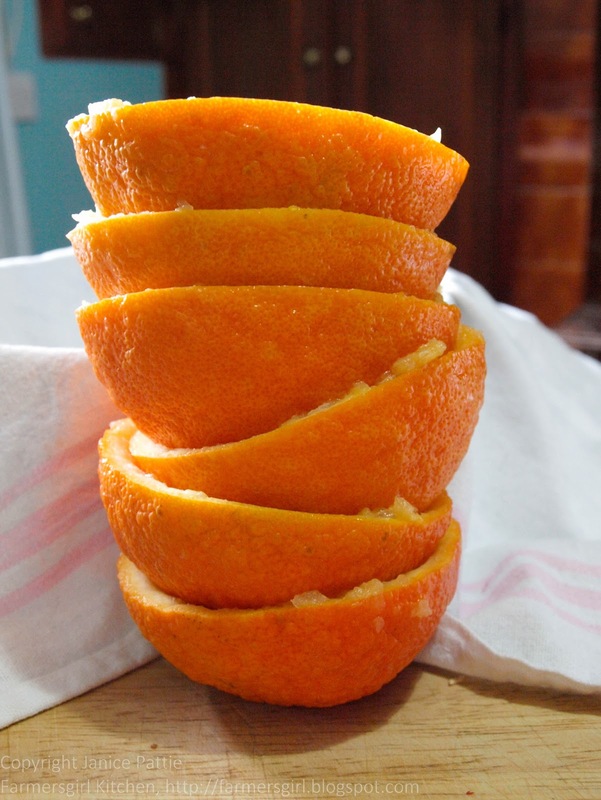 Wipe and cut the oranges in half, squeeze out juice an pips. Put pips in a muslin or stockinette bag and tie. 2. 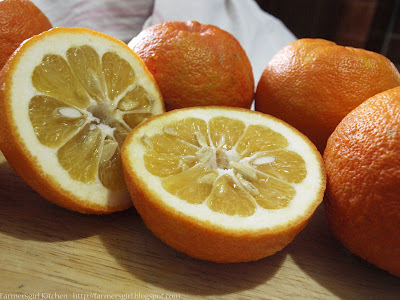 Put orange juice in pan with water and lemon juice. 3. 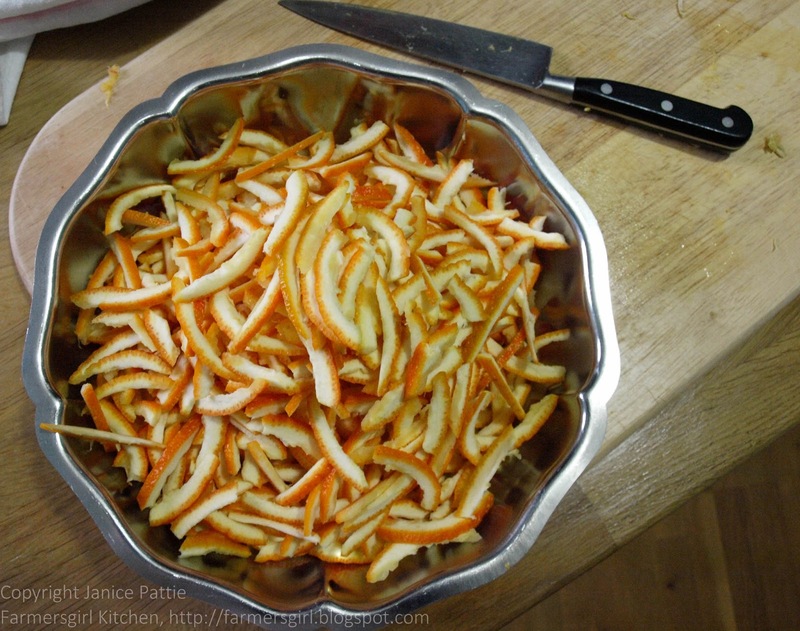 Slice peel thinly and add to the pan with pips. Simmer about 1 1/2 hours until peel is soft and liquid reduced by half. 4. Take out bag of pips and squeeze out any liquid into pan. Stir in sugar over low heat until dissolved. Boi8l rapidly to setting point. 5. Cool 15 minutes in pan, stir well, our into warm, clean jars. Cover, seal, label. Store in a cool dry place. I suspect my marmalade is a little too set to win any competitions but the taste is phenomenal, the tart orange flavour bursts onto your tongue and stays with you for some time after eating. It's not too sweet and I'm really rather pleased with it! 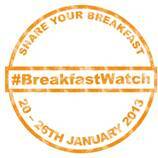 Marmalade is perfect for breakfast so why not try to make some for Farmhouse Breakfast Week. 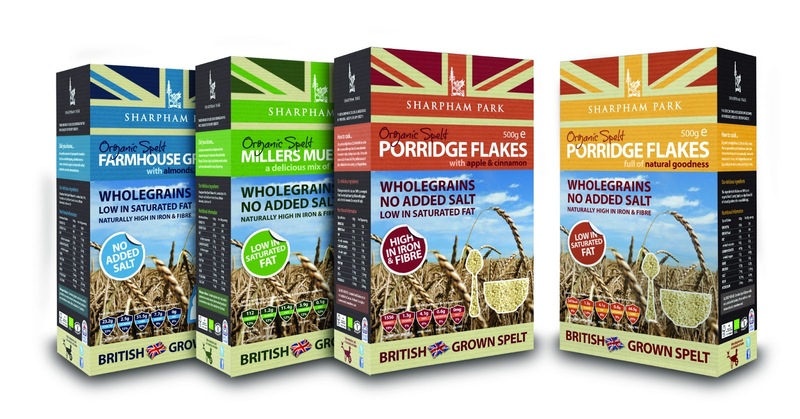 There are lots of ideas for breakfast on the Shake Up your Wake Up website. You can follow @breakfastweek on Twitter and tweet a picture of your breakfast every day with the hash tag #BreakfastWatch. You can also post your photos to Facebook, Instagram and Pinterest. All you have to do is link your cooked or baked breakfast blog post to the Breakfast Club and we will choose one Breakfast Club entrant by Random Number Generator when the Breakfast Club ends on 24th February. Oh that looks delish, I'm so jealous now as I've never made marmalade, only strawberry jam. I always used to buy homemade from the WI when I lived near one, but I must get on and make some myself, I just need some muslin! Thank you all. Sue you are probably right about my Mum's marmalade it is always really good! She has won lots of baking competitions through the SWRI (Scottish equivalent of WI), but doesn't enter any more. Thank you Karen, more like the three bears I think! Paddington Bears, of course.